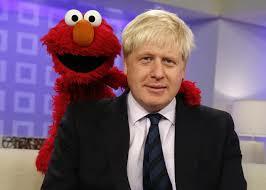 Which one is the Muppet? Since my last column it seems many things have gone wrong. The big issue was the referendum on the E.U. and what we were told was going to happen. We were told that the Remain camp would win by about 52% to 48%. The reverse was the real outcome. We voted by 52% to 48% to leave the E.U. and take back control. Those who supported Remain were very unhappy. Those who supported Leave were not so happy either. Lots of things we were told would happen turned out not to be. Let’s take a look at what we were told. The Prime Minister told us that he would remain in post to see us through the exit from Europe if we voted for that. The day after he announced his departure – after his summer holidays, that is. He got it wrong. We had been promised that £365 million that went to the E.U. each week would be saved and could be spent on the NHS. Now is seems that was a mistake. They got it wrong. We would take back control of our borders and cut out immigration. It seems we got that wrong as well. However we would have experienced charismatic political leaders to negotiate our terms for leaving the E.U. Sadly, it seems that they have found it impossible to accept the job, possibly as a result of internal squabbling. Surprisingly, some of those who voted to leave didn’t expect to win, thinking everyone else would vote to stay. They got it wrong. I saw a comment from one prominent Leave politician saying we should hire some experts from Asia to negotiate our exit. This was the man who said we should disregard experts. It seems he got it wrong. The same man then stood up in the European Parliament and told all the other M.E.P. s that they had never held a proper job. He was surrounded by scientists, prominent businessmen, entrepreneurs and others who held very senior posts. He just got it wrong. Getting it wrong is more common that we like to think. I was listening to the news this morning and heard that Southern Trains is going to cut out hundreds of trains because they have been unable to get people into London on time for work. They didn’t explain how having fewer trains will help people get into London. They will just have fewer trains arriving late. I think they got it wrong. Fortunately, as Catholics, we can have confidence that we got it right. We joined the right Church and if we go to Mass on Sundays, get to confession (just before we die) and avoid a criminal lifestyle then we are assured a place in Heaven. I’ll avoid telling the story of Ian Paisley being shown round Heaven by Saint Peter, coming on a high wall with “Silence!” notices displayed. “What’s in there?” He asked. “That’s where the Catholics are. They think they’re the only ones here.”, came the answer. Sadly, I think we Catholics do get it wrong – often. All too often we are presumptuous. We assume that having declared ourselves to be on God’s side He will be on our side too. We can go about our business knowing that God is looking after us. We have done our bit and now it is up to God to keep his side of the bargain. Many Catholics recognise that Jesus showed us good examples to copy and spend their lives in good works to earn a place in Heaven. The more we do here on Earth the higher the place we will have in Heaven. This is not a new idea. In Mark’s gospel we see James and John, the apostles, ask Jesus about their place in Heaven. James and John, the sons of Zebedee, approached him. “Master,” they said to him “we want you to do us a favour.” He said to them, “What is it you want me to do for you?” They said to him, “Allow us to sit one at your right hand and the other at your left in glory”. “You do not know what you are asking.” Jesus said to them. “Can you drink the cup I must drink, or be baptised with the baptism with which I must be baptised?” They replied, “We can”. Jesus said to them “The cup that I must drink you shall drink, and with the baptism with which I must be baptised you shall be baptised, but as for seats at my right hand or my left, these are not mine to grant; they belong to those to whom they have been allotted”. This is a curious passage and it raises many questions. James and John have given up everything to follow Jesus. They are willing to face whatever befalls them for His sake. They expect to be rewarded in Heaven and are asking Jesus how they will fare. Jesus recognises their sacrifice but tells them that what they do will not earn them a high place in Heaven. They got it wrong. When we do good works here on Earth to earn a high place in Heaven – we get it wrong. We are not promised a high reward for our work. I wonder who those people are, to whom those places are allotted. Jesus does not tell us. It is worth remembering that we do not know the mind of God. Does this mean that we don’t need to do any good works to get into Heaven? We can find the answer in Luke’s gospel. So there you have it. We are no more than servants and do good works because that is what we have been told to do. We are not earning a high place in Heaven – we got that wrong. We can only get to Heaven by the mercy of God. Jesus’ sacrifice on the cross is the outreaching hand of God’s mercy to pull us into Heaven. Just as an aside, I wonder about this idea of sitting in Heaven on Jesus’ right hand or left hand. Think about the saints you know. Saint Anthony never gets a minute for people like me asking him to find things they have lost (and making a few pounds for the poor in the process). Saint Pio is constantly bombarded with requests and Saint Rita seems to spend hours finding parking places for my wife. If these great saints are kept busy in Heaven what lies in store for the rest of us lesser beings? It doesn’t sound like an easy time, but it might be fun. My July column is published today in the Scottish Catholic Observer. How good are we at getting it right? I think that we get it wrong far more often than we think. Read my column this weekend. If you are too late and the papers have all gone then you can get the complete text here next week. Last month I wrote about my pilgrimage to Rome and Assisi. I recounted the experiences of passing through the Holy Door in various basilicas. So where do I go now? I’ve gone into those great churches, prayed and gone to confession, is that it? Can I now say, “I’ve done the Holy Year of Mercy!” and move on? Somehow I don’t think so. I’ve turned back to Pope Francis himself for advice on the direction to take. On the cover of his book, “The name of God is Mercy” there is a quote. It might seem a bit strange at first that the Pope tells us to get out of the churches after years of trying to get people into church. Look again at what he said; Go out FROM the churches. We are not being encouraged to leave the churches but to take the gospel from the church out to the world. That raises the question, how are we to take the Gospel into the world? Should we be shouting through a megaphone or handing out leaflets on the streets? 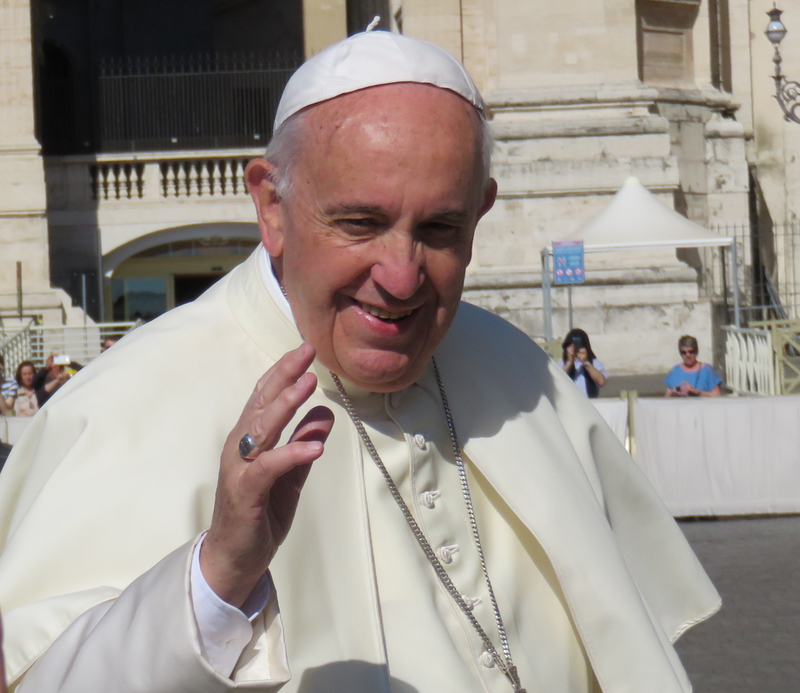 Pope Francis in his book examines the Seven Corporal Works of Mercy and asks us to examine how we can use these. Let’s take a look at these and see if they give us a way of promoting Gospel values in today’s world. First we have to feed the hungry. We all know that millions of people are going without enough food and that even in this modern age people are dying of starvation. We have long known of those who are starving as a result of famine in Africa and beyond. The rise of foodbanks in our own country shows that there are many families who are going hungry in the midst of plenty here today. The second work is to give drink to the thirsty. We all know that water is essential for life. Here in Scotland we take drinkable water for granted. A few years ago I visited some small islands in the seas around the Philippines. On one island I was talking to the mothers of the schoolchildren who were in our feeding program. They told me that only one of the fifteen villages on the island had a water supply. They had to take their big plastic cans on their canoe and paddle round the island to fill the can. Then they had to paddle back again. When I told them that houses in Scotland have a tap to give drinking water at any time of the day they were astonished. There are lots of people out there who need our help to get clean water. We also have to clothe the naked. There are not so many naked people wandering around Scotland (you would never last a winter) but there are many who need fresh clothes. They may be homeless or they might be finding it hard to manage. There are charities around who can help people out with clothes donated by people like you. You wouldn’t believe how many children in Africa sport football tops from a whole range of British teams. When these clothes come via Mary’s Meals the message is not lost on the recipients. The fourth corporal work of mercy is to shelter the traveller. How would that work in practice? In a small community the traveller would be obvious, standing out from the familiar faces. In a big city it is not so easy to recognise the traveller as everyone seems to be on the move. How does this work fit into our modern lives? One of the big issues today is that of the refugees flooding into Europe from Africa, Asia and the Middle East. The numbers of refugees, their dramatic means of getting into Europe and the underlying threat of terrorist action has put most of Europe in a state of unease to say the least. Nevertheless we are impelled to help those in danger, even if they may have put themselves into that danger. Migrants in leaky boats are being plucked from the sea. Hungry, cold refugees are given shelter and food in Italy and Greece. What is our response to this? Are we petitioning our government to do more to help or are we demanding that they stop the flow of refugees? This is not a simple question but nobody told you that living a Christian life was going to be easy. We may not agree with accepting refugees but we have a Christian duty to help those in peril. The fifth Corporal Work of Mercy is to comfort the sick. I’m sure most of us have gone to see someone who is ill at home or is experiencing a stay in hospital. Apart from bringing a bunch of grapes and a couple of magazines we bring something of the outside world into their sick quarters. We become a link with what’s going on outside and help them to feel they are still part of it. Some Eucharistic Ministers regularly visit the sick and bring them communion, linking them in that mystical and poorly understood way with the rest of the Church through Christ. Theirs is a special ministry we are not all involved in. We can all be involved in helping the sick in the mission countries by our charitable donations to the missions. The sixth work of mercy is to visit the imprisoned. This is not something that most of us would relish the opportunity to take on. Who wants to make their way to some remote spot to visit a criminal? Why would anyone want to comfort someone convicted of some heinous crime? I have only ever visited two prisons. I visited Shotts prison when researching an article for this paper. I was visiting the chaplains and had the opportunity to talk to some of the prisoners there. These were all young men who found themselves serving long sentences for crimes they had probably not given much thought to before committing them. They all seemed to be pleasant young men who had made a series of big mistakes. The other prison I visited was in Nigeria in the company of the local priest who went there to celebrate mass. If I tell you that the first prisoner I saw was a naked man staked out on a concrete slab in the boiling sun you will understand that this was no “cushy number”. The young men I joined for mass were likeable fellows who were grateful for my company. There was not a hardened criminal among them. There was one older man who was well dressed. He had shot his nephew in cold blood and showed no remorse. He is the only real criminal I have ever met. If prisons are to be successful in correcting the behaviour of the inmates perhaps more of us need to be visiting the poor souls locked in there. The last work of mercy is to bury the dead. I have been to more funerals than I would like. I think there is something special about a funeral mass with a congregation praying for the repose of the soul of the deceased. Perhaps it’s the presence of Christ in the Eucharist that makes me feel that this is a service that offers great hope rather than a final laying to rest. Don’t be put off attending funerals; you are joining in spirit with someone who is in the presence of Christ. I hope I have given you plenty to think about. I’ve certainly begun to take a closer look at myself in the process.